Nas Daily is insufferably positve. We’ve been through this. Also, he’s back in Singapore, and recently posted a video on the Orchard Road smoking ban, titled “Smoking Is Banned?!”. On first viewing, it’s a straightforward video on how Singapore’s ban on smoking at Orchard Road, which is due to kickstart in the new year, is great for everyone except smokers. Some thought that he was wrong. 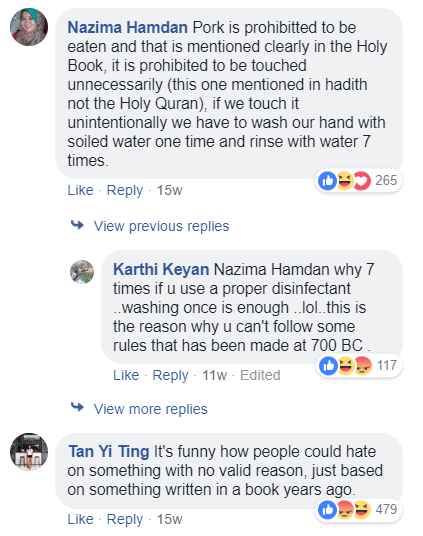 One held his middle finger up to the comment section. This is where I take issue with this video: the fact that he classifies non-smokers as “Us”, and smokers as “Them”. While the harm that smoking does to our health cannot be debated, the last thing he should be doing is marginalising smokers and separating people into different camps. 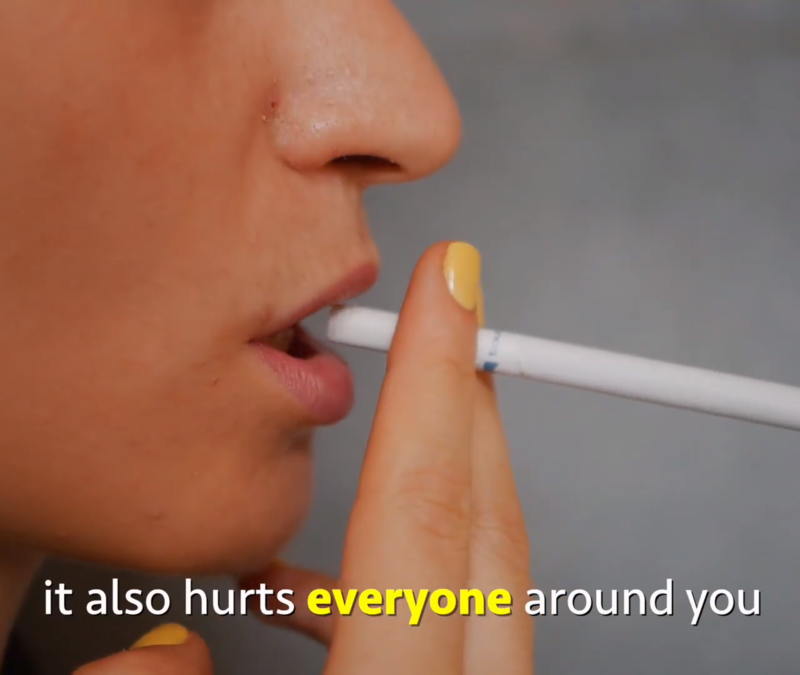 On one hand, this widens the divide between smokers and non-smokers, creating more distance between them and maybe even animosity—something that we see happening in the comment section of this video. On the other, it glosses over the fact that legislating against smoking is a complicated issue, as is getting people to even quit the habit in the first place. It’s not as simple as Nas implies, and further entrenches the moral high ground that non-smokers often take in response to smokers. Bear in mind that he once said that his videos aim to bridge the gap between viewers who hail from all corners of the globe, and to unite the human race by encouraging them to practise empathy and tolerance. He explains how he merely wants to spread messages of positivity. Despite this, we contend that his videos might have a more divisive effect than we think. In this particular context, those of us who know people who smoke know that smokers are not bad people. Yet Nas paints smokers as being deserving of something “terrible”. By taking the side of non-smokers, he encourages us to do the same. In other words, he divides us. And it’s not the first time he’s done so. It is this sort of black and white that Nas Daily deals in to fuel the virality of his videos. In Singapore, this is particularly dangerous and divisive, given the prevailing attitudes towards smoking and those who partake in it. Most Singaporeans are familiar with the “don’t be like them” narrative that often governs the way we discuss smoking. We hear it from parents, teachers, and morally superior figures of authority; a cultural nuance that Nas is obviously ignorant of. 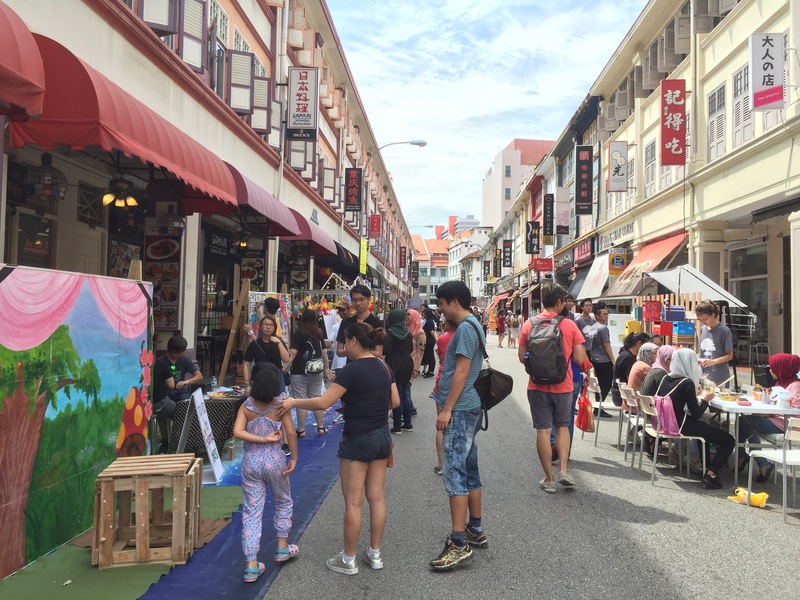 Coupled with the fact that smoking areas create a physical and spatial divide amongst smokers and non-smokers, the supposed immorality of smoking is constantly reinforced in Singapore. When you have this bigger social issue of “Us” vs “Them”, all it does is harden the resolve of smokers, while fueling the holier-than-thou attitudes of non-smokers. 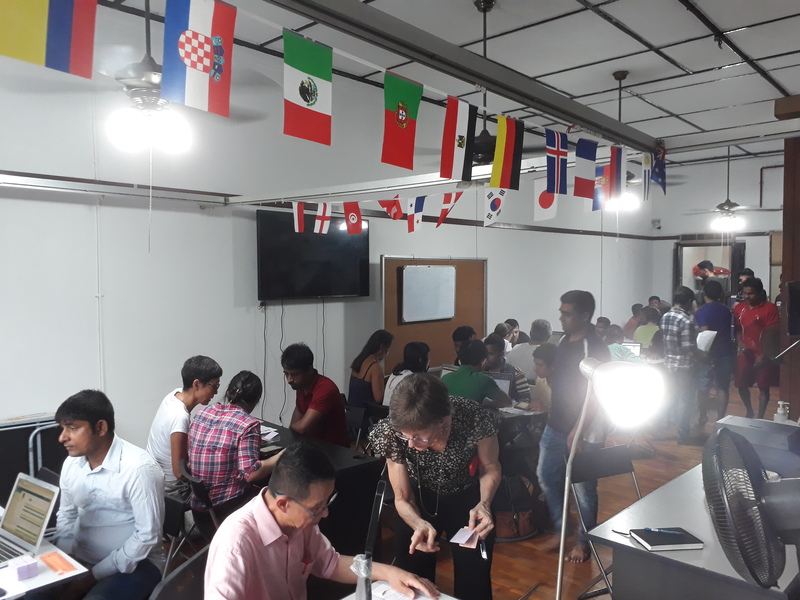 Without any kind of constructive dialogue between the two camps, you simply end up with a society of stubborn, divided communities. Before coming to Singapore for the first time this year, Nas spent a few days in Papua New Guinea where he experienced the island’s culture first-hand. 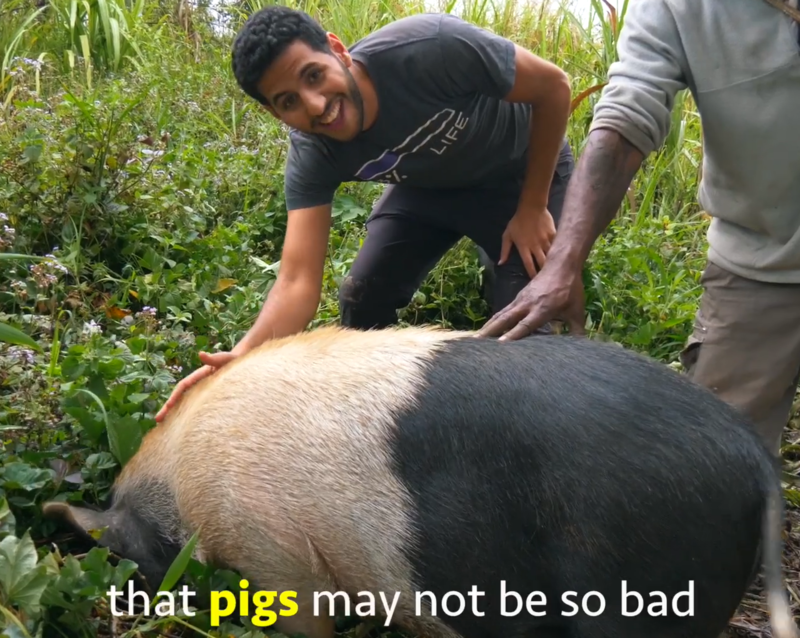 In one video, he focused on how pigs are valuable commodities in Papua New Guinea, before bringing in his experience of being Muslim. Describing the significance of the animal in Papua New Guinea, he reminds us that he’s Muslim, before saying that he “came to a realisation that pigs may not be so bad after all”. By the end of the video, he is seen stroking one of the pigs. While I understand that he’s trying to offer a different point of view to his Muslim viewers, and to soften the divide between Muslims and Non-Muslims, his video once again leaves much to be desired. In one line, he paints himself as progressive, while dismissing pig-avoiding Muslims as backward and narrow-minded. 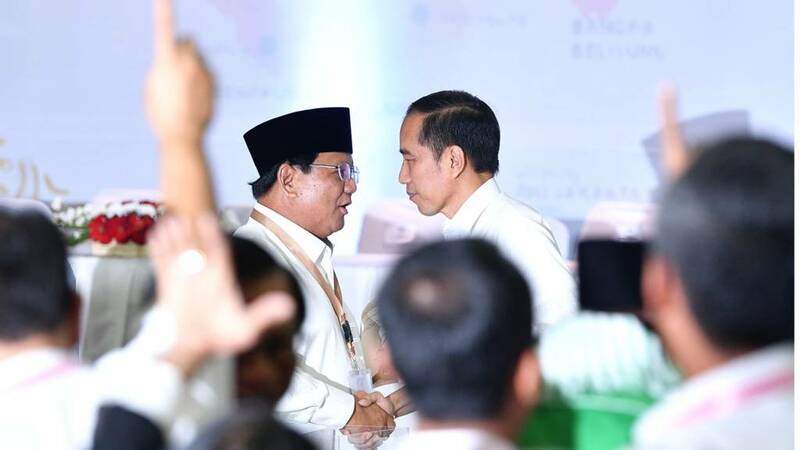 By judging whether something is “good” or “bad”, he is essentially delivering a verdict on complicated issues (like religion and its accompanying culture and history) that he barely even tries to scratch the surface of. Therein lies the danger of his videos: it’s not so much about what he says, but what he doesn’t say. By not filling in those gaps of information, he simplifies a situation to the point where it simply reinforces stereotypes instead of creating empathy or understanding. In yet another video, he tackles marriage in India, subjecting it to a critique of how it is closely linked with the caste system. Race and class are problems that are deeply entrenched in Indian culture and religion. But by framing it this way, the main takeaway becomes how it is inhumane parents who force their children to marry based on the caste system. It doesn’t help when he says that it is “as if loved one’s personality or humanity doesn’t matter,” as though a shift in mindset is enough to undo the history of such practices. On a side note, anyone who’s been involved in a Chinese wedding will know it’s never that simple. All this succeeds in is the stirring up of viewers’ feelings. It doesn’t educate them, or tell them how to deal with these issues. It makes you angry, not empowered. It prompts to react, share, and comment; it doesn’t inspire you to do your part to shape a better, more compassionate world. For someone who is supposedly championing the cause of empathy, tolerance, and positivity, this is a bit rich. His good intentions do not miraculously transform his content into a tool for empowerment. With great power comes great responsibility, and with 10 million followers on Facebook alone, Nas has a considerable amount of clout on social media, which brings with it a responsibility to educate his viewers. There are several other examples of him unintentionally marginalising groups of people as he tries to make his point on several topics. Take the “Numbers Trap” video where he oversimplifies our pursuit of happiness and our obsession with numbers, and the “Eat Like An Indian” video where he lauds the vegetarian diet that a majority of Indians adhere to. Consider his attitudes towards the caste system in India, and it becomes obvious that he picks and chooses convenient details to either celebrate or criticise. 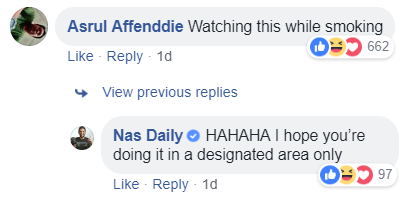 So long as Nas Daily continues to harness this format to deal with inherently complex and contentious issues, he will never be able to shed light on anything in a helpful or valuable way. Like the negative, sensational bits of the media that he is supposedly trying to push back against, he too markets a myopic brand of positivity that breeds inflexible, indifferent self-righteousness. 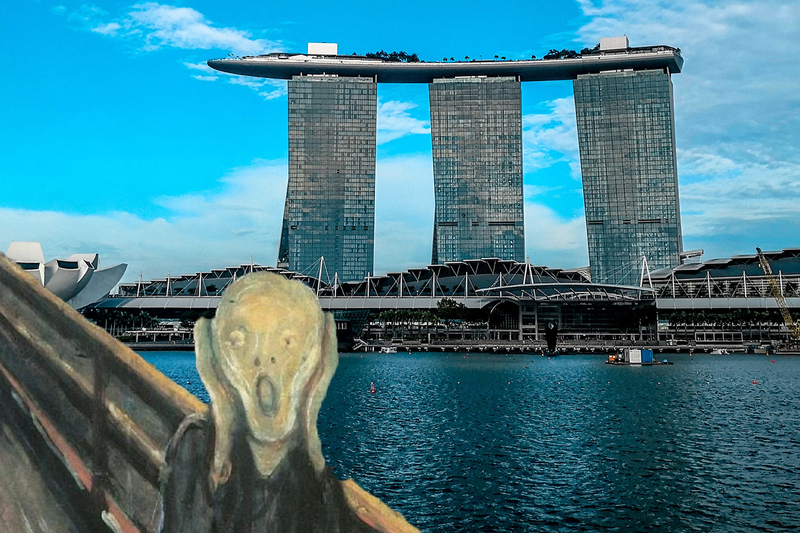 What Does Moral Panic Have to Do With Public Policy in Singapore? Everything.